ReDirections improves the quality of life in our community by helping our citizens resolve their differences which creates better relationships and promotes change. 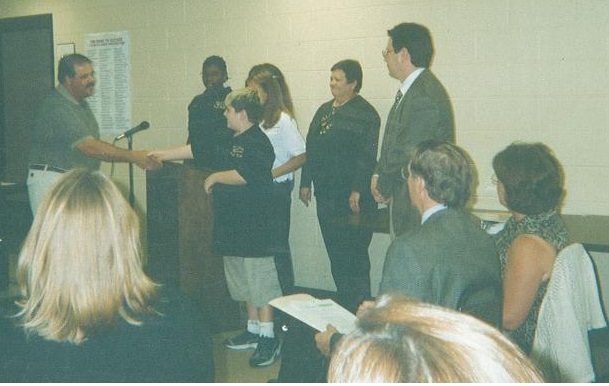 ReDirections was started a little over 25 years ago when prison overcrowding was a serious problem in this state. Building additional prisons was expensive and did little to rehabilitate those that went through the prison system. Consequently, when the State approached a number of farsighted Rockingham County citizens about starting a program that would focus on punishing and rehabilitating nonviolent prison bound offenders in the community, they said yes and ReDirections was formed. In 1995 ReDirections added mediation as a second program. At first mediation focused its attention on District Court and the cases that take up so much of the court’s time. Cases like Simple Assault, Injury to Personal Property, Trespassing, Communicating Threats can be handled more effectively when the parties voluntarily agree to sit down and attempt to work out a solution to the problem that is in everybody’s best interest. Because Mediation has so many applications, it wasn’t long before ReDirections had other programs to offer the community. Today, in addition to District Court mediations, we offer Medicaid Appeals mediations, Conflict Resolution training and a Batterer Intervention class and in November 2018 a Mental Health Court. In addition to its mediation programs, ReDirections has also served as an incubator for two other innovative criminal justice programs, Project Reentry and Project Safe Rockingham County, both of which now operate under county agencies.